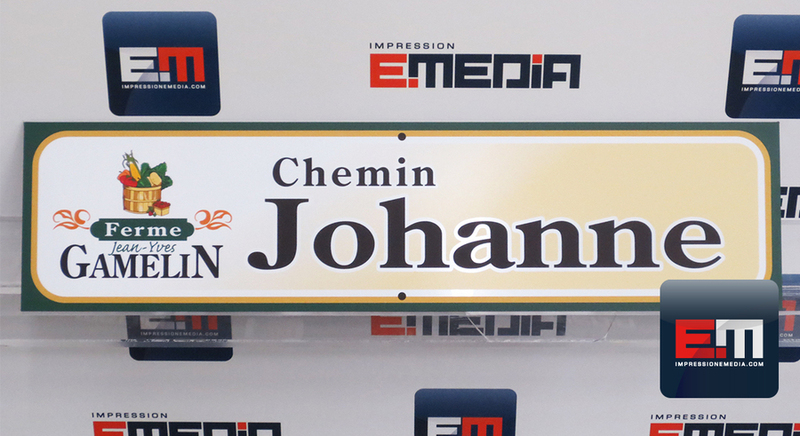 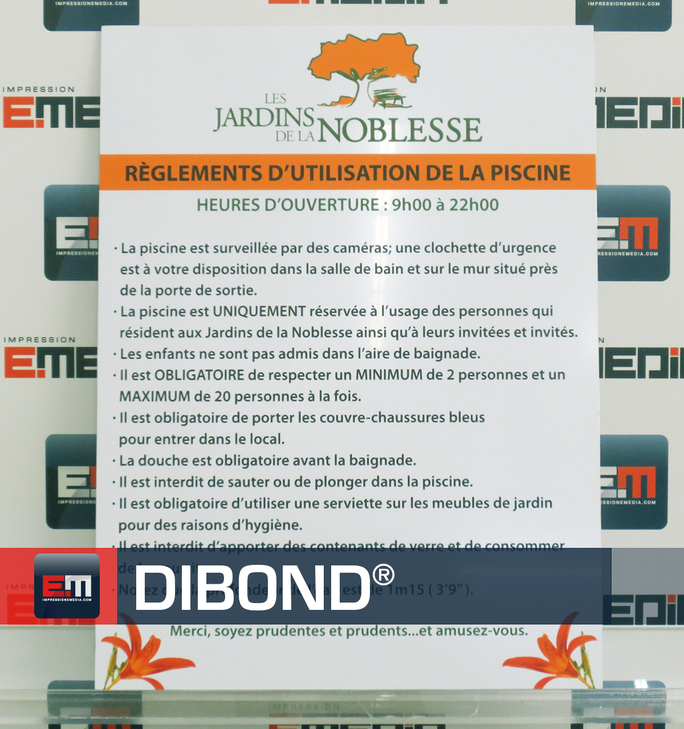 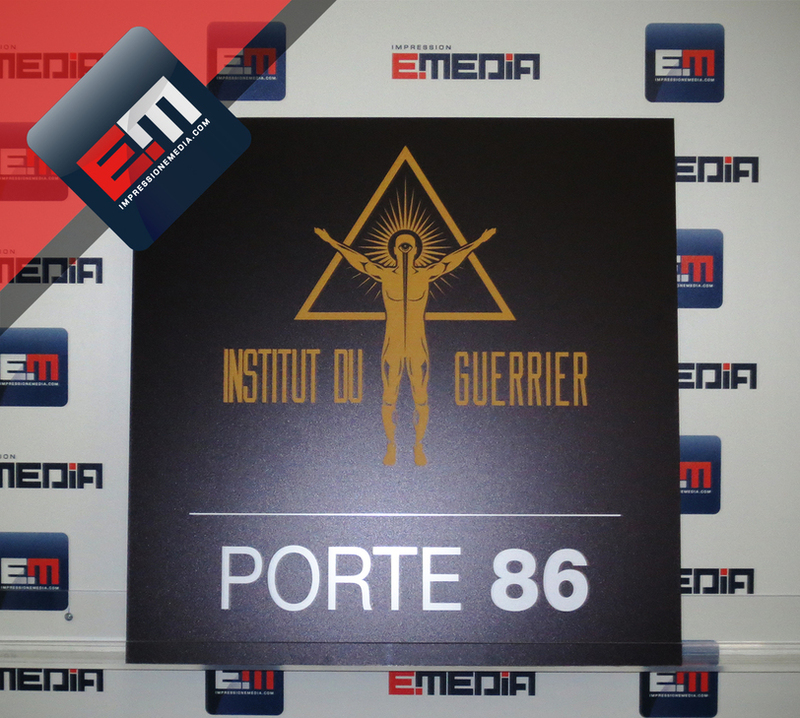 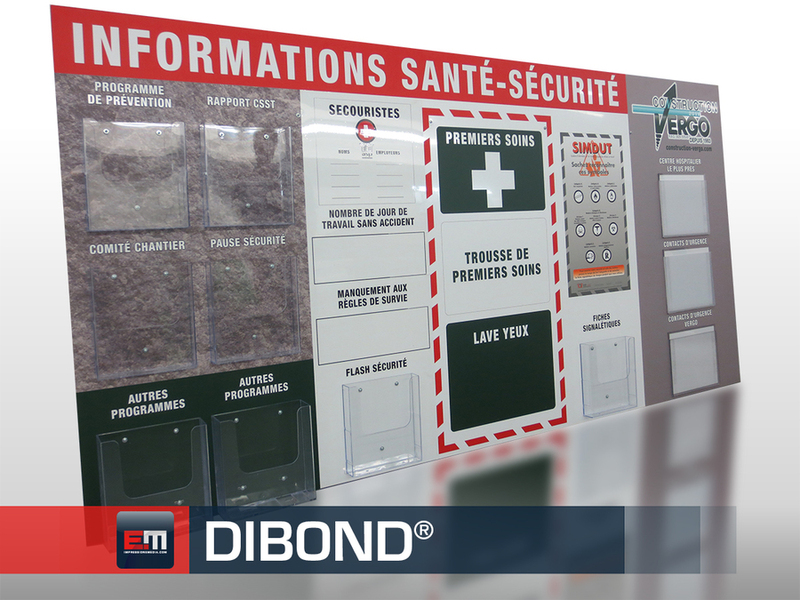 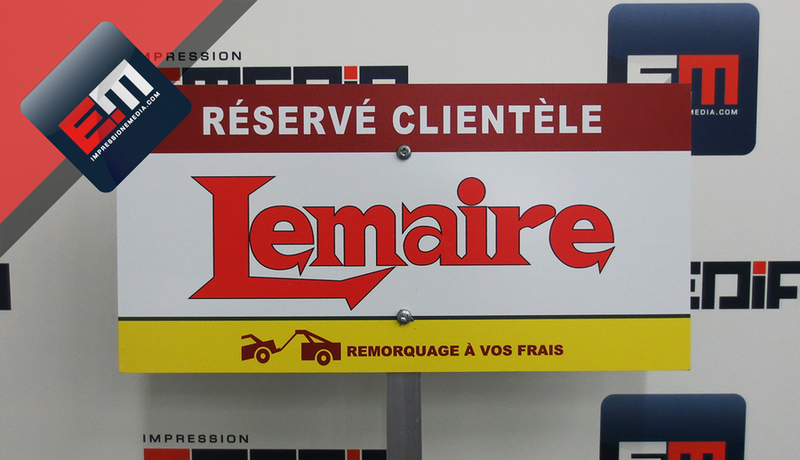 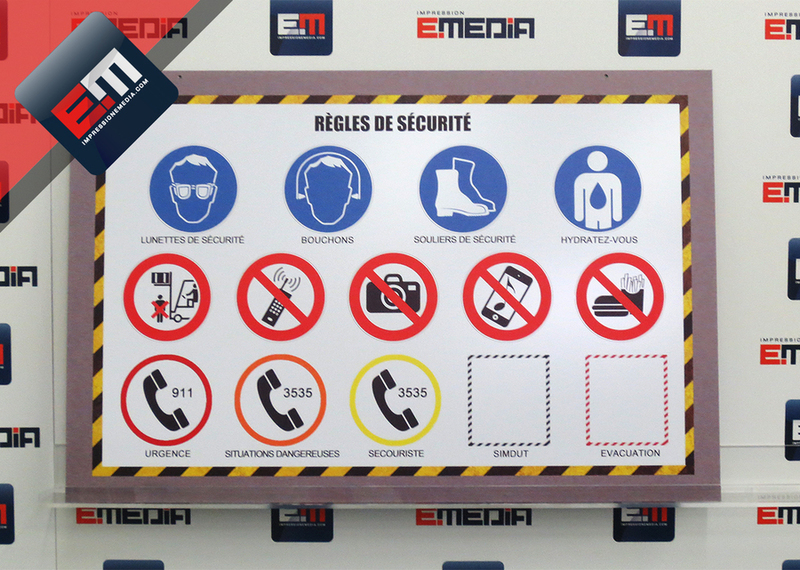 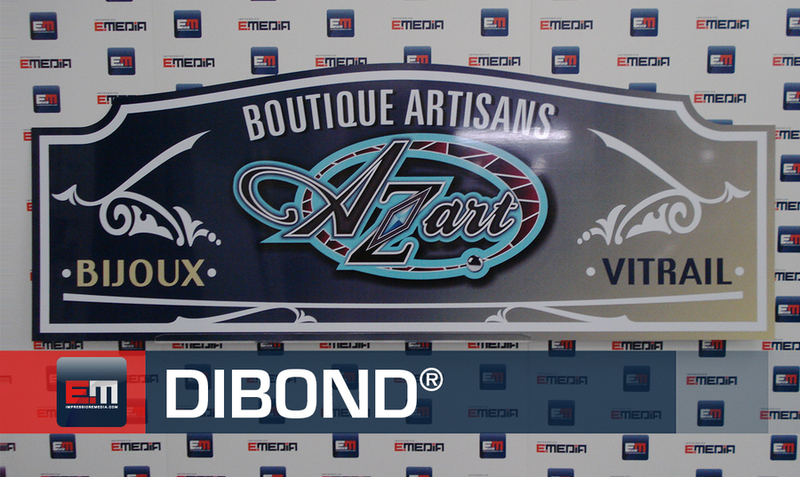 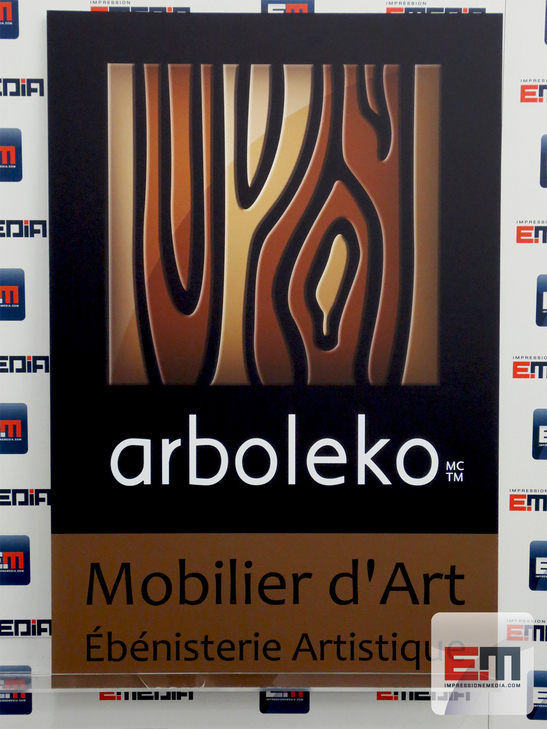 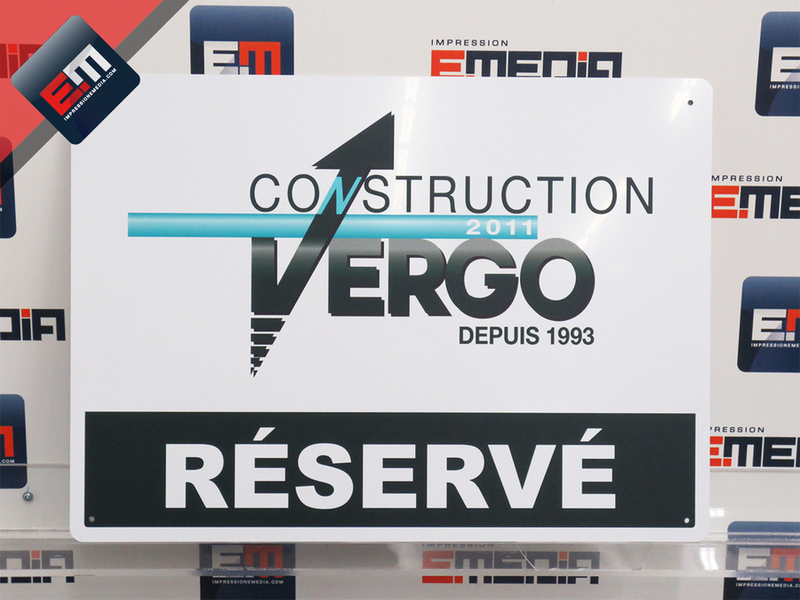 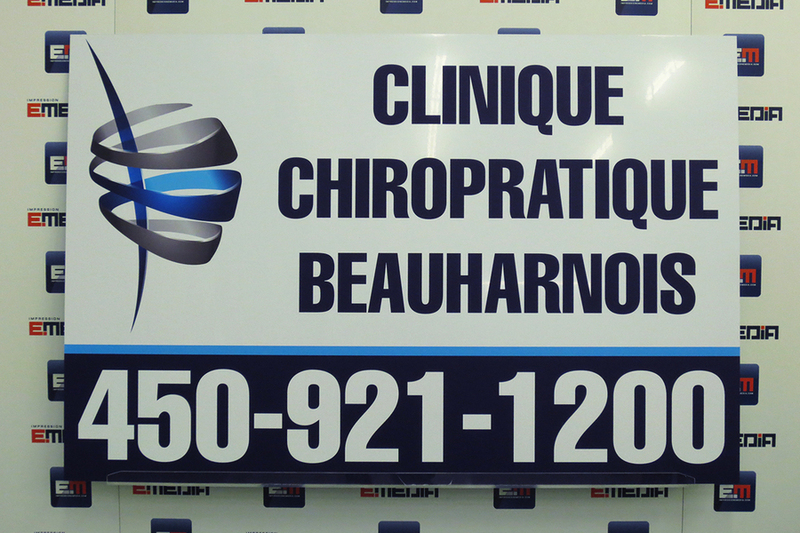 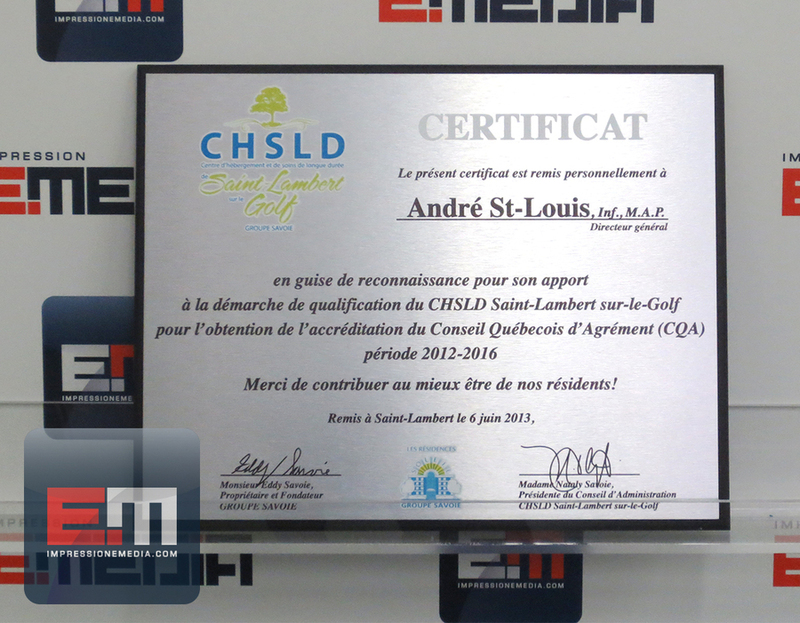 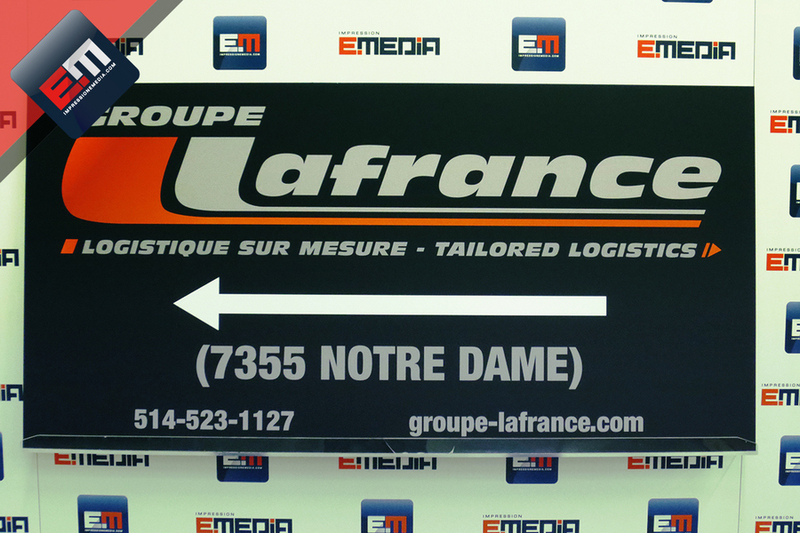 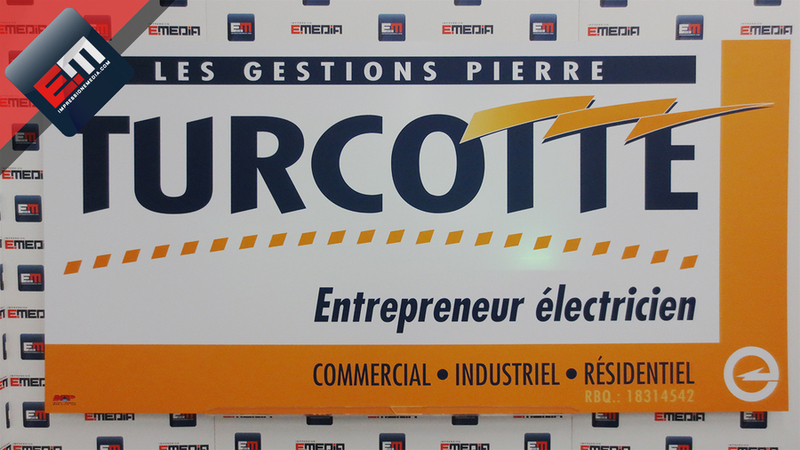 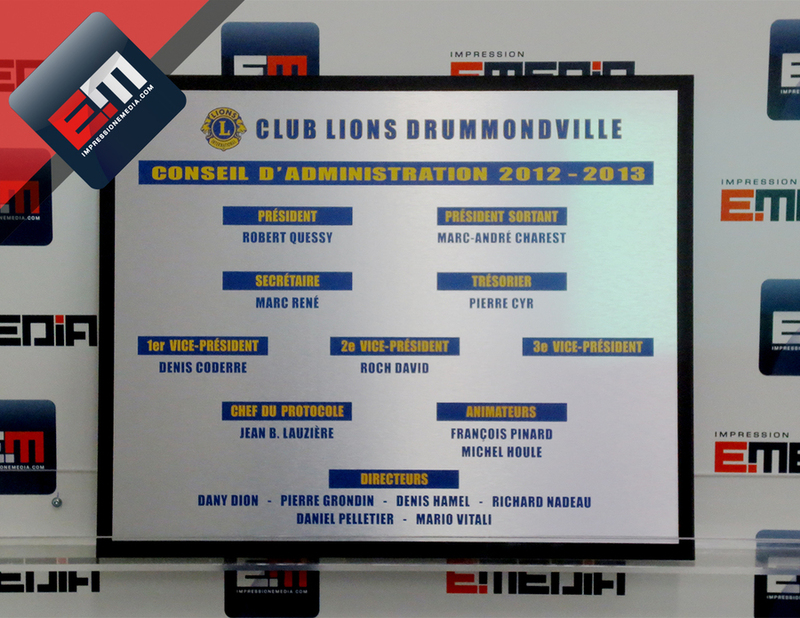 For spectacular, elegant and chic signage, that will endure for years indoor or out, choose an Print EMEDIA Dibond® sign. 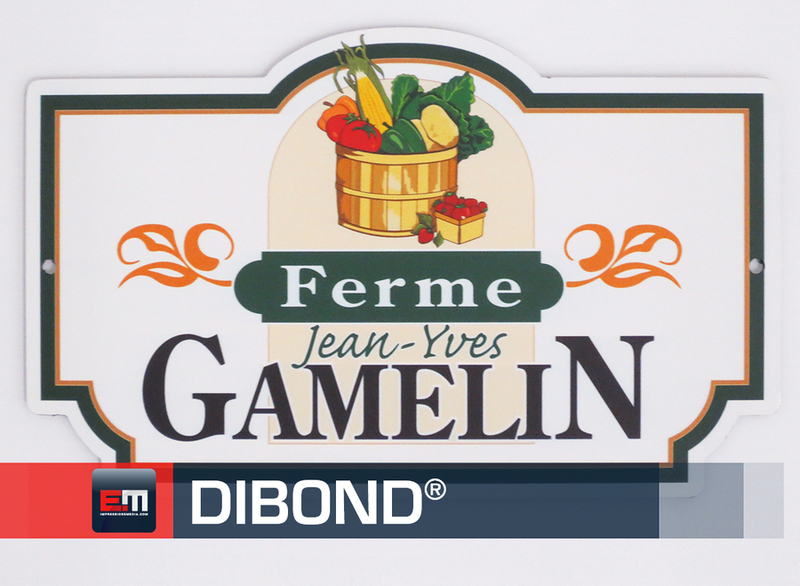 This aluminum composite product is ideal for signs used on buildings, for signs that need to last a long time such as product displays or façade banners. 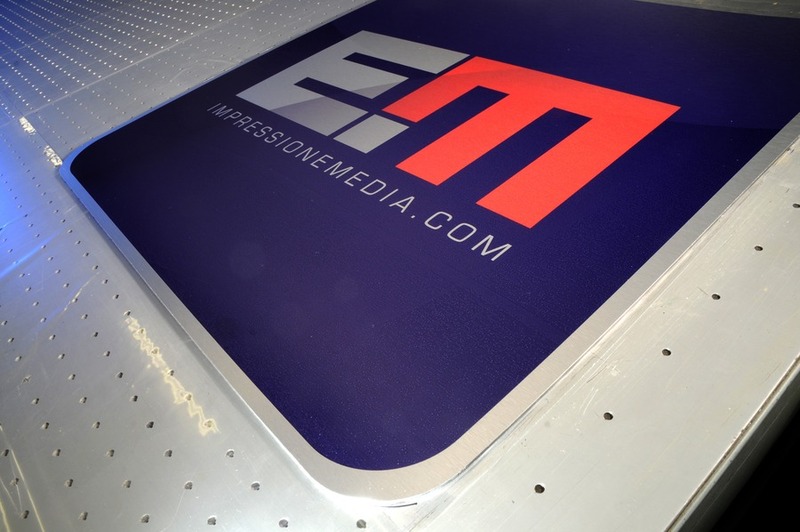 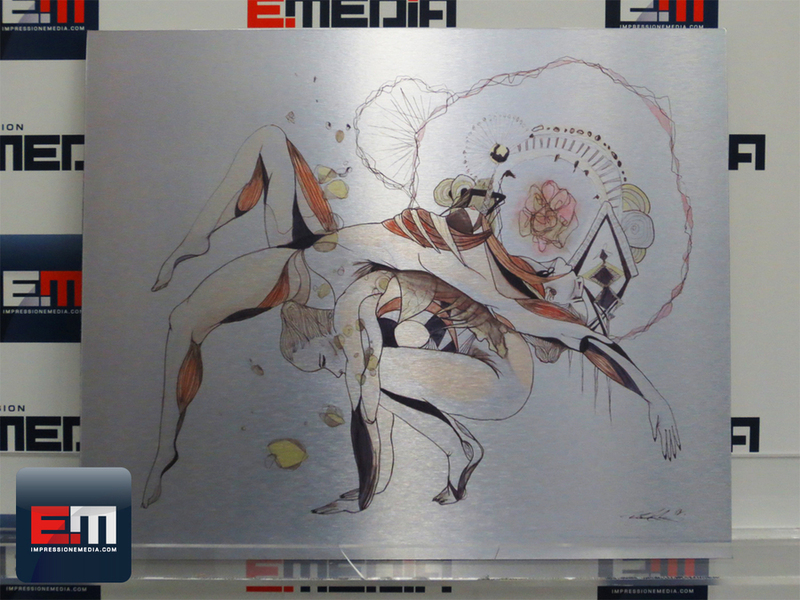 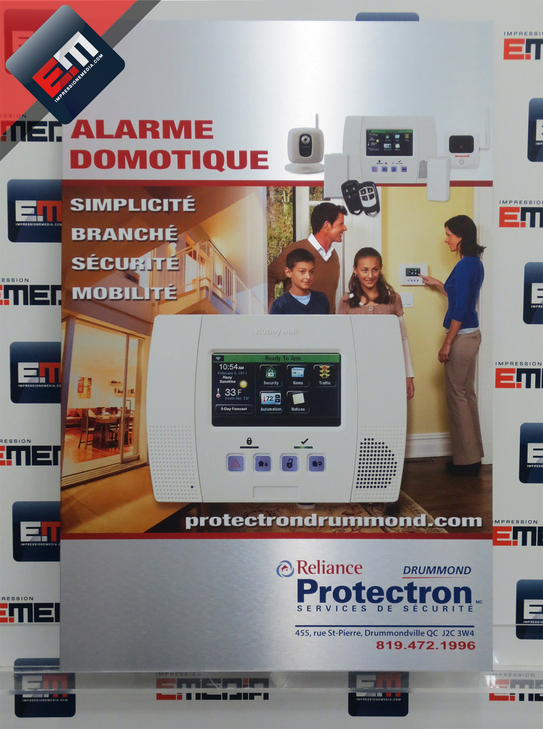 With a brushed aluminum or white gloss finish, combined with direct printing, Print EMEDIA Dibond® will always attract attention. 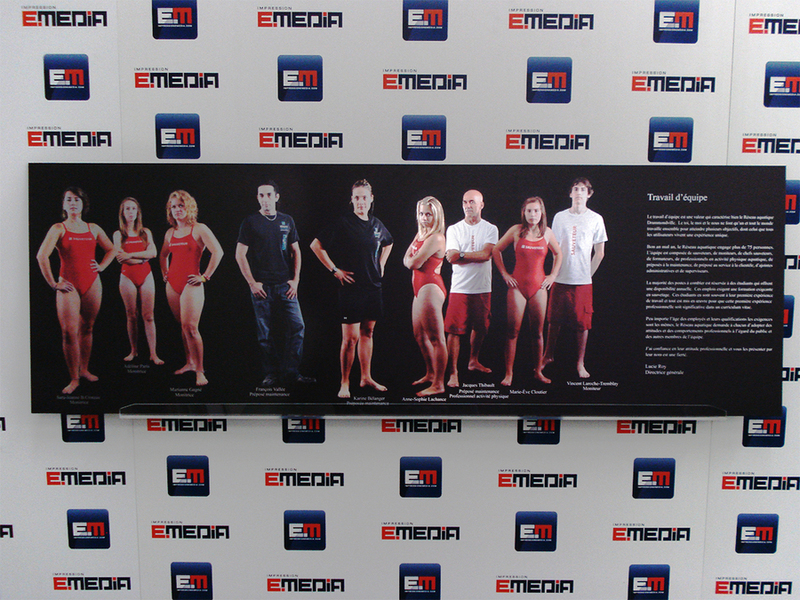 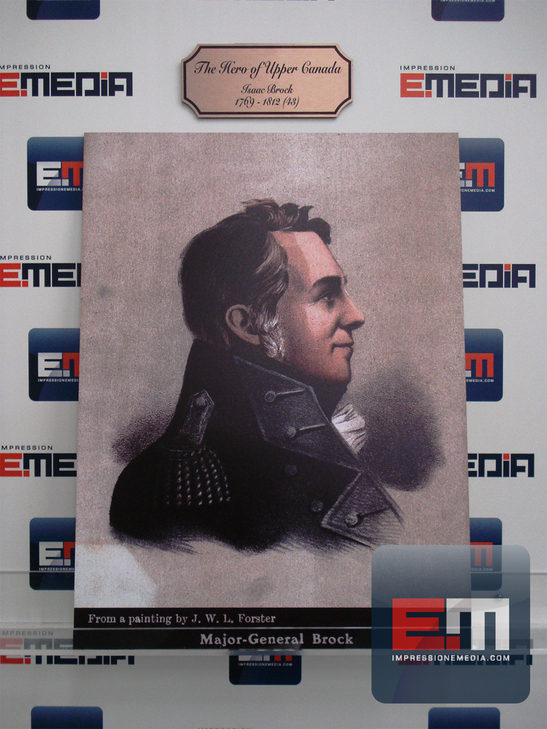 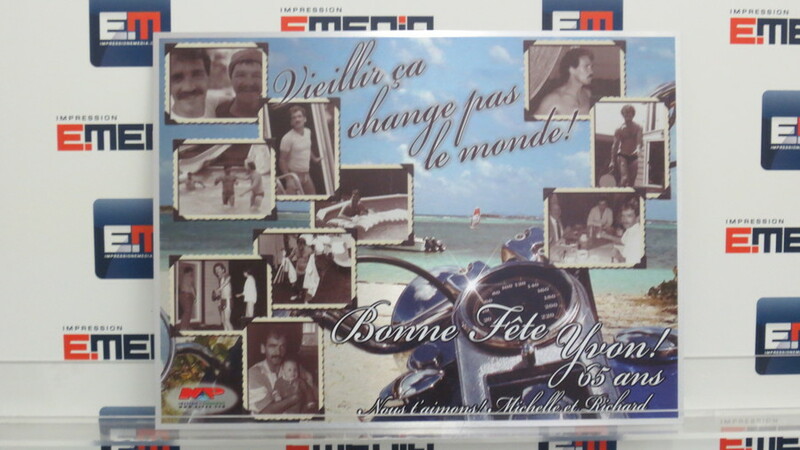 With its superior, irreproachable quality, Print EMEDIA Dibond® large format prints are conceived for those who wish to stand out! 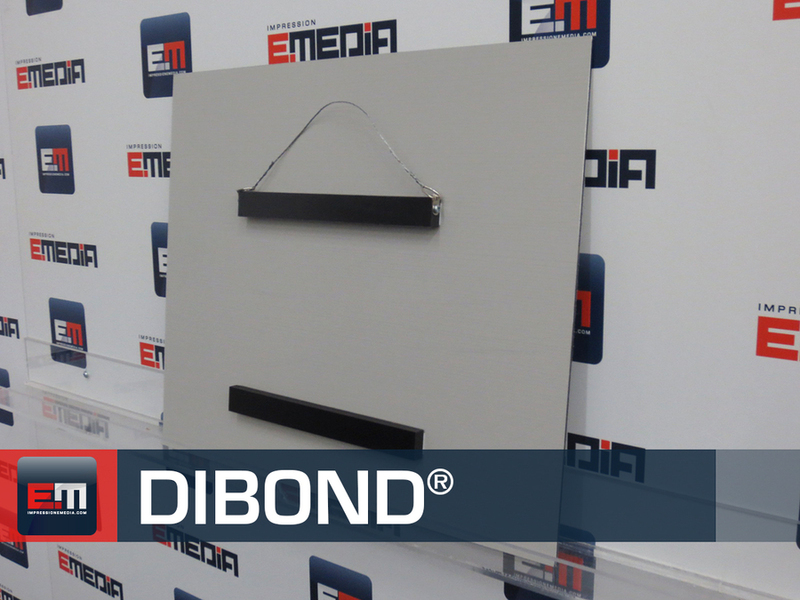 Can you cut letters made of Dibond to make outdoor signs? 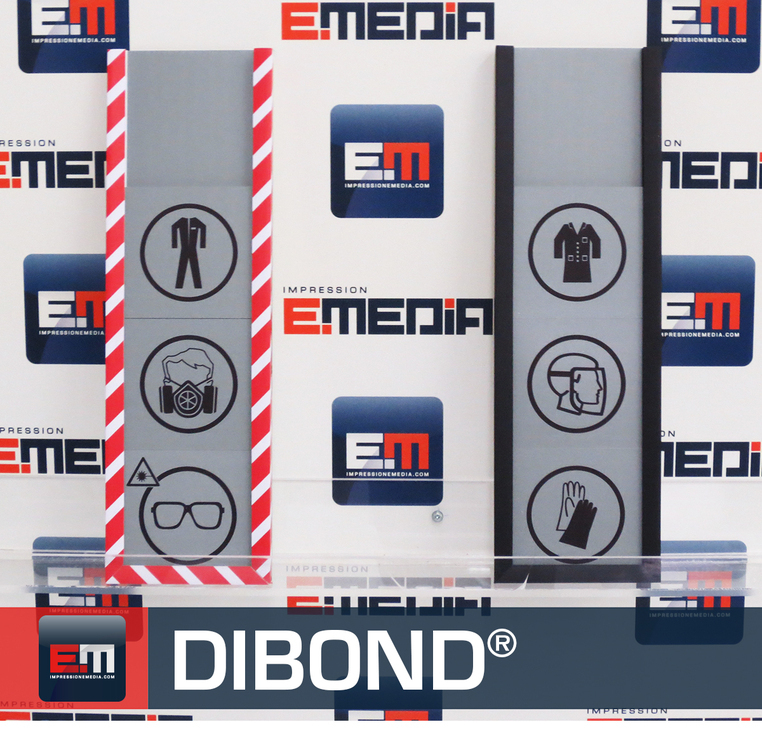 The dibond easily lends itself to the manufacture of all kinds of logo and cut-out letters to make signs (not lighted) on any type of building.